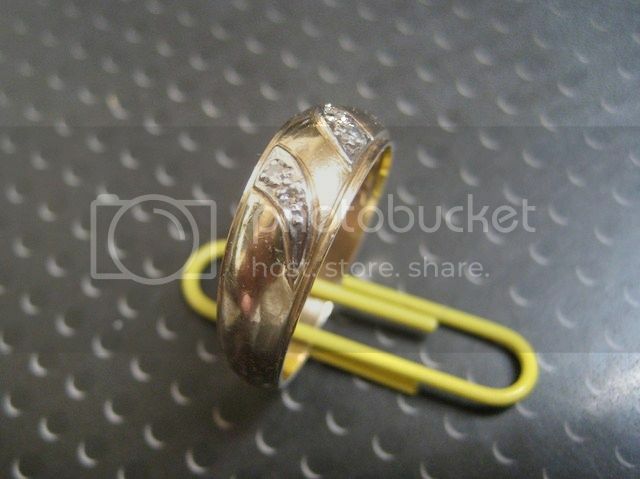 I got in a total of 10 short hunts in January and all produced silver coins and some hunts rewarded me with gold rings. I ended up finding 35 silver coins and 3 14k gold rings. I'm taking a few days off to rest. Dirt fishing for gold rings ain't no easy task, because you have dig a lot of trash. If I left the gold rings alone, I could probably double my silver finds, but that wouldn't be as much fun, because I love finding gold rings! Guess which brand detector found the most gold rings? Last edited by tabman; Feb 02, 2016 at 08:05 AM. RobRieman, Loco-Digger, Hihosilver and 4 others like this. Awesome Wedding Ring Recovery Today! Great job tabman! That's the most silver and gold I've seen in a long time. Thanks. It's one of my better months. It has been really fun! Tesoro Compadre, Vaquero, Outlaw ,Cibola, Sand Shark, Minelab Xterra 705, Minelab Safari. All hail the Tabman. Hey did you ever think about running for president? We can use a winner and someone who knows how to get it done. Great job, cant wait to see how the rest of the year goes. Thanks. I doubt I'll beat this month, but you just never know. Speaking of president my next door neighbor's son-in-law, Big John, got Trump's detail. He also got Hillary's detail for 3 weeks. That must have really sucked. 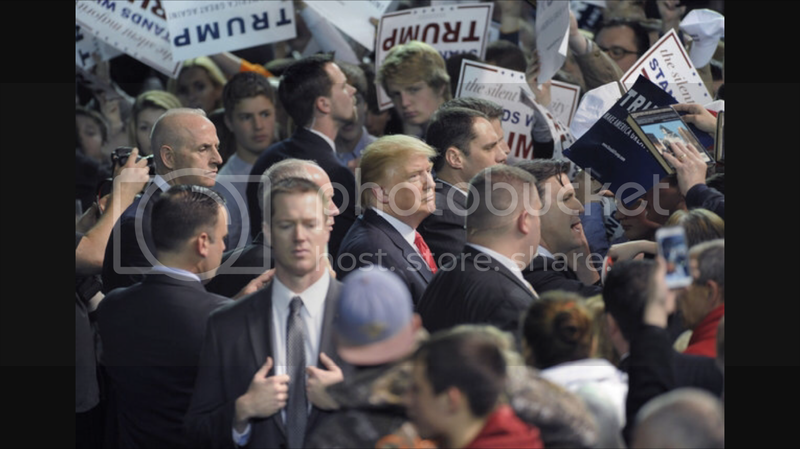 He's the secret service agent with his hands on his coat lapels giving the guy the eye. He's a super nice guy. I took him crappie fishing in my boat when he came to visit the in-laws. Last edited by tabman; Feb 02, 2016 at 10:59 AM. Wow, I'm lucky if I find 7-10 silvers in a month. 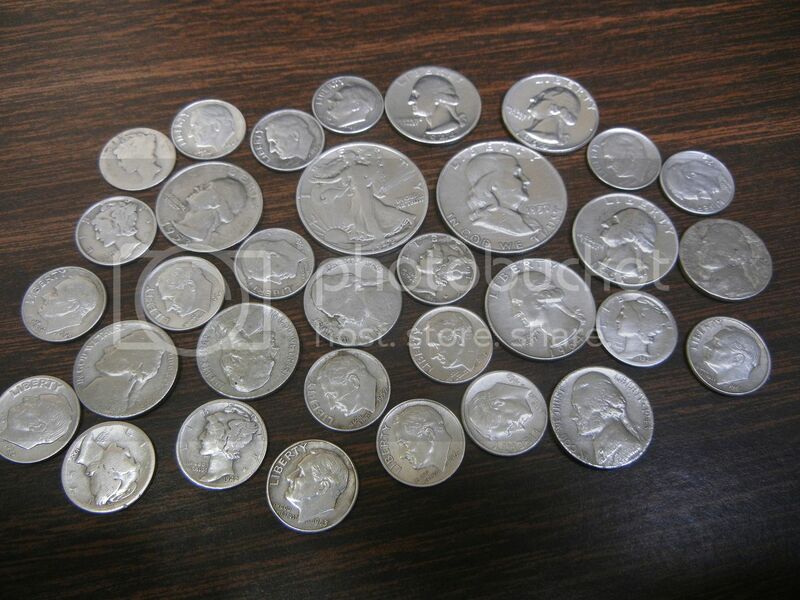 I'm lucky if I find 7-10 silvers in a year. Congratz! That is just plain out ridiculous! Them Crappies are some good eatin, a little on the bony side though. Heck, that's over 100 silver coins a year. That's pretty darn good. You must be a gold jewelry hunter. A mess of fresh caught crappie sure is tasty. We filet all of ours, but they're more flavorful when cooked whole. So are bream. Thanks. I got a little lucky. Gratz Tab! Great month! I need to hunt more old houses. I love my old homesteads and mining areas though. More of a relic hunter I suppose but would take a month like this one anyday. If I had to guess wich detector got the most gold would say a Tesoro. That was me before I got divorced last year. RobRieman, Loco-Digger and bigfish313 like this. By Fix in forum Today's Finds! 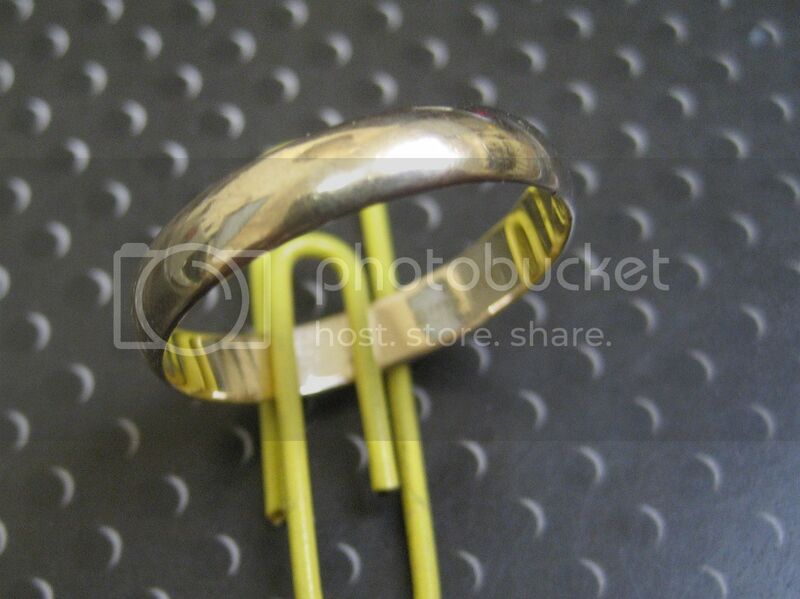 Golg ring US 10k, gold ring 18k, old silver coin 1801. 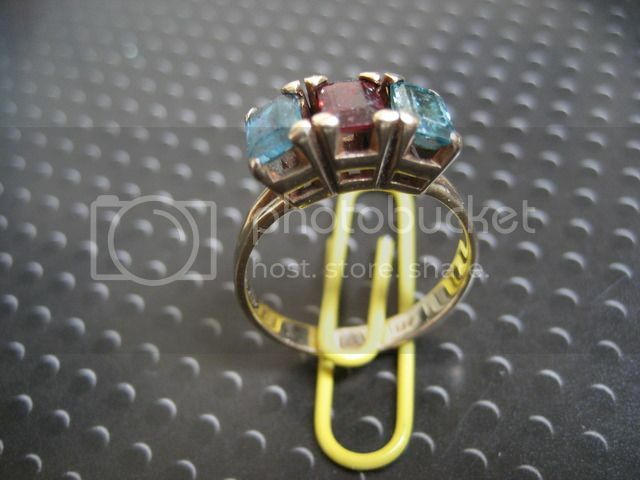 By John-Edmonton in forum My Best Finds! January silver and copper totals.